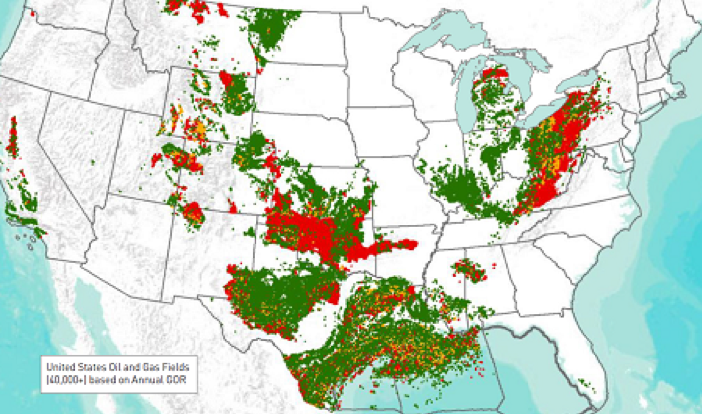 In an effort to provide a quick and comprehensive understanding of the U.S. oil and gas exploration and production landscape TGS has developed “SMART” oil and gas Field, Pool, and Producing Formation GIS outlines. These outlines are based on field and pool definitions by State and Federal agencies. Oil and Gas Field Polygons depict the geographic extent of producing Fields, based on well locations. GIS data includes more than 190 data attributes and has an emphasis on production data. Historical cumulative, last 5 years cumulative, and 10 year annual production data is reported where available. More than 50,000 Field polygons across the US are included. 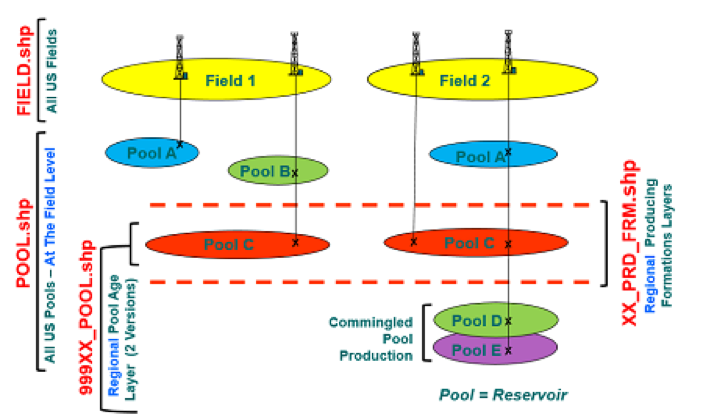 Oil and Gas Pool Polygons represent the spatial extent of producing Pools within Fields. GIS data includes more than 250 data attributes with an emphasis on geologic age and production data where available. Nearly 144,000 Pool polygons are represented. 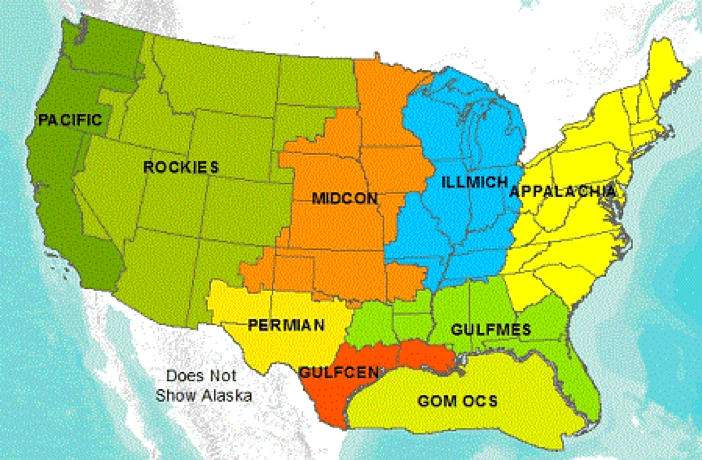 Oil and Gas Producing Formation Polygons are based on aggregated Pool polygons (AAPG Formation Code) on the 10 offered regions. GIS data includes more than 70 data attributes and are similar to Pool polygons with more than 8,000 Producing Formation polygons included. The GIS data solution is divided into ten geographic regions which currently cover all producing provinces (basins) in the United States. Data is typically delivered on a regional basis. The data delivery contains the core shapefiles, full documentation, and MS Access database with the data sets. Regional data deliveries also contain a number of supplemental GIS data sets which include; political boundaries, USGS Province outlines, geologic boundaries, faults and other supporting geologic data. 3 core pre-built MXD templates (Field, Pool and Producing Formation) have been developed for Esri users so they can quickly start using our the data and maximize their opportunities. Users also have access to hyperlinked Web-Based stratigraphic columns that are relative to the geologic area that is being researched. Pool level GIS data has been strategically named with AAPG age codes and names so when added to G&G & GIS software applications it is easy to arrange the polygons in order of stratigraphic age. Users of our Esri MXD’s will also leverage the extensive effort we have spent to arrange the more significant producing Pool polygons in stratigraphic order. Data is licensed on a 3 Year Subscription basis. Licensed data can be used by an unlimited number of users and at multiple office locations.